Well done to our volunteer WYC RYA Training Centre Principal Richard Maltby and his team for running such an excellent facility for the club! If you'd like to know more about the training we offer, or book a lesson, see the training page at wyc.org.uk/on-the-water/training. 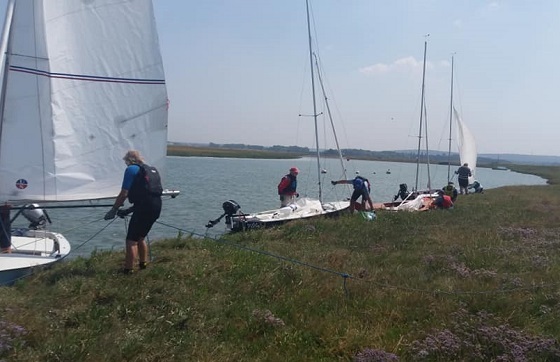 Two cruises were recently held for dinghy sailors from WYC, to the Kings Hall in Herne Bay on Saturday 7th July, and to Shipwrights Arms at Hollowshore near Faversham on Thursday 26th July. The next cruise is planned for Saturday 11th August, so contact Richard Maltby if you'd like to take part. Click below to read reports from both cruises provided by Ian Hay. Photos by Andrea Oliver. What a day to pick to do a cruise. Football coming home with England playing Sweden, and I was assured by all the apps in the world that good, strong favourable winds would whizz us back for at least the second half. Richard, John Berrington, Ian, Kate, Fef, Dave Bardwell and Ian and Glenda made up the Wandering fleet. It was a great sail out with the wind on our port close quarter, a steady breeze and the ebb tide under the lee bow. Skirting all the “shallows and miseries” of the falling tide, leaving Whitstable Street well to starboard, we sailed far enough out to sea for the vague outline of the Kent shore almost to disappear in the haze. On landing at the beach between the groynes by the King’s Hall almost at the point of low tide I was expecting far more mud. I was pleased to find that at Herne Bay the sea bed below the shingle is sand rather than the romantic, sunset soaked mud flats which adorn Whitstable. Our initial sorrow at being abandoned by our leader Richard Maltby for the club race was made good by his keeping his (seemingly vague) promise to catch us up, which he did arriving with John just in time before the tide turned and the wind died. Fantastic. Needless to say the voyage back was not blessed with strong winds. Despite the flood tide in our favour and hoisting spinnakers we took longer than coming. Actually with the tide at times running faster than the the stalling wind, collapsing spinnakers did as much to hamper as to help with progress. Mercifully the breeze picked up towards the end and we returned with the last 15 minutes of England’s quarter final victory to enjoy. For all that a great day. A steady wind meant an uneventful and beautiful clear passage. One of the great delights of sailing together as a fleet of small boats, sails all set against a blue sky and sandy beaches, is the company of the occasional seal. As we approached the Swale Alex Grantham appeared on his beautiful looking RIB, dressed for the Mediterranean, with a white peaked cap pointing the way to the Shipwright’s Arms. With a strengthening breeze we rushed in to our mooring, in our case very rapidly as the main refused to drop. However Kate laid expertly along the shore. A beer, sandwiches, conversation on the bank and then the urgency of a falling tide meant a reasonably rapid departure, but the wind strongly opposed our efforts to sail away. Various methods to leave the lee shore were applied. Ian and Glenda rowed across the creek and rigged their boat on the windward bank. Peter paddled out in his Miracle and made fast to a buoy. Richard engined out to another buoy. Although his engine tangled with a mooring line he also got away. Kate and I tried to paddle out but getting nowhere Alex kindly towed us out - twice. The first attempt being just a practice run I think. We were off and a hard time we had of it. The return passage was an exciting experience. High winds against tide meant big waves breaking over boats and the repeated drenching of their occupants. Tacking right out to the Pollard buoy and then as far in as possible. Two boats went briefly aground. Kate helmed our boat into the waves holding the close-hauled tack while I kept the boat upright by leaping about. Ian and Glenda again showed their seamanship by reefing the main in mid Swale and had the most comfortable sail home. Peter and Dave left all standing. Fef showed us how to do it by keeping closer to the channel and use the fastest tidal flow. All were safely gathered in without mishap and the Honourable 33rd came 33rd. Suitably exhilarated by her first experience of sailing in a cruise, Andrea threatened to come again. Ramp it up - Ramp down! Topbond Marine completed their work on the WYC Ramp today, almost a week ahead of schedule, and it's now open for use this weekend! Thanks to Grant and the Topbond team for all their hard work over the last few months of very hot weather. Whilst the work is complete, WYC is still paying for the ramp, and the fundraising efforts are ongoing. We've raised £4100 so far from generous donations, but need significantly more! If you've been meaning to donate a plank for £100 then don't delay! 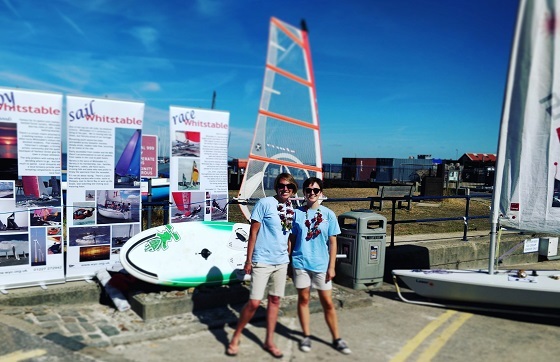 We've set the £100 donation per plank but if groups want to club together - cadets, windsurfers, sailing classes and buy one in the name of the relevant group that's fine. We're also after prizes for a fundraising auction so if you can offer something, please let us know. Forms are available behind the bar or you can download one from wyc.org.uk/images/uploads/WYC_Ramp_It_Up_2018.pdf and email it back to the office. And look out for news of the official opening ceremony to be scheduled soon! LaserFest 18 Report, Photos and Video! 46 Laser sailors took part in the 2nd round of LaserFest 2018 at WYC last weekend for two great days of close racing! Visiting sailors came from Broadstairs, Herne Bay, Queen Mary and Thames sailing clubs, as well as long distance travellers from Thailand, the US and Australia! 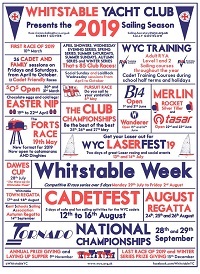 The event report is now on Yachts&Yachting at www.yachtsandyachting.com/news/207862/Laserfest-Tri-Series-at-Whitstable, and there are lots of photos of the event in our Facebook members and Laser groups. Thanks and well done to all of the volunteers who made the event such a success! It is with great regret that we pass on the news that Laurie King died last week. Laurie was a regular sailor at WYC, in the catamaran fleet, until a few years ago. Our deepest condolences go out to his family. 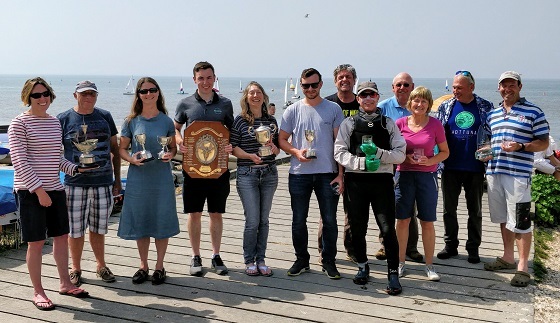 Well done to everyone who took part in the Club Championships over the Bank Holiday weekend, thank you to all the members who worked hard to make the weekend a success, and congratulations to the prize winners, particularly Julie and James who came first overall in their Merlin Rocket! 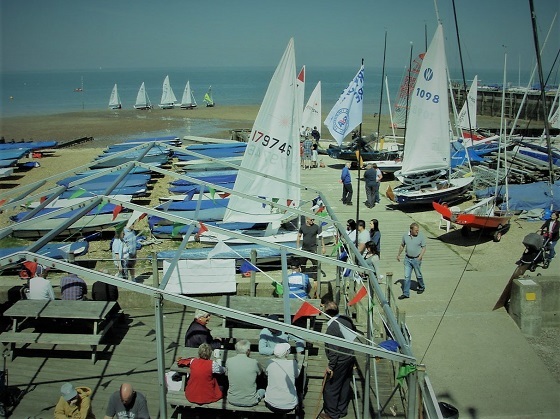 As we get into the busy season at Whitstable Yacht Club, members and visitors are reminded that car parking is not permitted on the Beach or West Quay unless you're working on club business (which needs permission to be agreed in advance with the office or a Flag Officer). If you need to drive onto the Beach or West Quay areas for drop off or pick up, please drive carefully, do not block any boats, stay with or near your vehicle at all times, and move it out of the area as soon as possible. Place an order for your WYC clothing! John & Wizz are now producing and selling Polo Shirts, Sweat Tops and Hoodies embroidered with the WYC logo. Place your order by emailing johncrickmere@yahoo.co.uk. (i) The current options are Polo Shirts, Sweat Tops and Hoodies. (ii) Size options can range from Small to 4XL. (iii) Garment colour options are Navy, Black, Silver Grey and Red. For just an additional £3.00 per garment they are happy to add one further embroidery on a sleeve eg "Recorder", "Bar Team", Boat Name, Class Logo, Personal Name etc. There's a sample in the bar by the pool table if you want to look before you buy! A very successful Open Day for 2018! We had our open day on Saturday. Did you miss it? Not to worry, have a look at wyc.org.uk/members/New_Members for membership information, or wyc.org.uk/on-the-water/training for training courses! 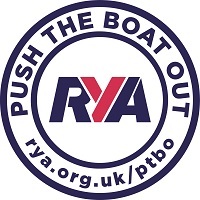 WYC has always responded to national 'try a boat' and 'push the boat out' days and over the years has been rewarded with an encouraging amount of interest and some very loyal new members. This year's event was probably the best yet: nearly 90 visitors took up our offer of a taster sail and they all came ashore wearing big smiles; 9 new memberships were taken out on the day; and many more took away information about our club and courses. We were delighted to include the Lord Mayor accompanied by the Lady Mayoress of Canterbury among that number - did you know that she owns a T shirt with the mayoral gold chain screen-printed across the front? We could not have asked for better weather. A warm, sunny day with a gentle to medium breeze is the perfect recipe for winning over cautious novices and that is exactly what we had. Our visitors spanned a wide age range from 8 to we're-not-going-to-ask-you-sir. Full marks to our older cadets for giving the youngsters a taste of excitement in the club's Fevas and very many thanks to Wanderer, Miracle, Dart 18 and Tasar owners for providing a variety of platforms for the adults. An impressive number of WYC members devoted their day to oiling the organisational wheels. The onus falls not only on boat owners: reception desks must be manned, queries answered, the mini-boat show ashore organised, buoyancy loaned, visitors escorted to the boats, boats held in the water while changeovers are made, safety-boat cover provided and much, much more. Thank you to everyone who gave willingly of their time and effort to make it happen and run so smoothly. 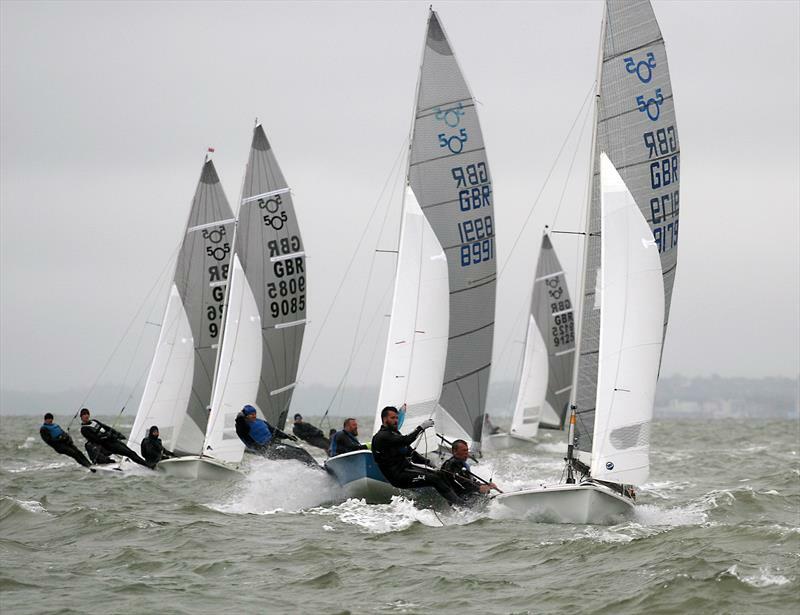 All the photos from last week's 505 National Championships are now available on the Champion Marine Photography website. WOFC have made an application for a lawful Development Certificate for the Oyster Racks off Whitstable. The Commodore has made a formal comment to object to the proposal, which can be viewed here: WYC_Oyster_Trestle_Planning_Application_comment_Final.pdf. So far there has been over 130 comments made, mostly objecting to the application, but any member wishing to add their own views should do so before the deadline of 11 May. See https://publicaccess.canterbury.gov.uk/online-applications/applicationDetails.do?activeTab=makeComment&keyVal=_CANTE_DCAPR_117205 for the details of the application, and how to make a comment. 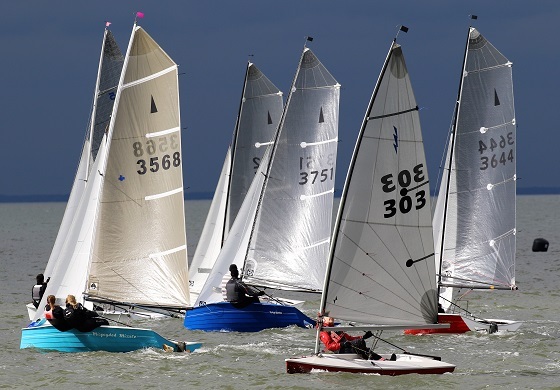 An exciting four days of weather gave the 505 sailors a challenge for the 2018 National Championships at Whitstable Yacht Club. 27 boats took part, including visitors from USA, France and Australia! The event was won by Mike Holt and Rob Woelfel from Santa Cruz Yacht Club, with Philippe Boite and Fountaine from Club Voile St Quentin in second place, and Nathan Bachelor and Sam Pascoe from Tynemouth Sailing Club in third place. 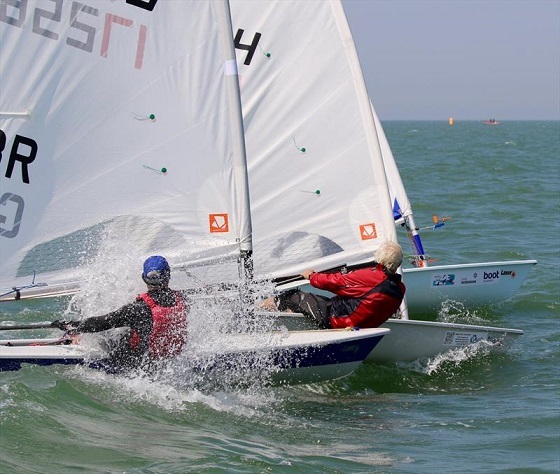 The highest place Whitstable Yacht Club boat was Chris Lewns and Jack Kilburn in twelth place. 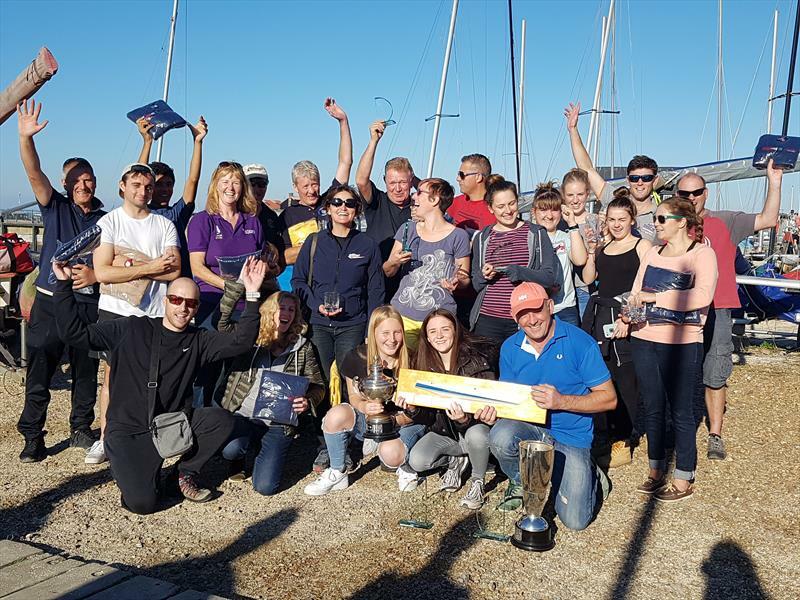 Well done to all of the sailors, and thank you to all the volunteers from Whitstable Yacht Club and Oyster Coast Watersports who worked hard to make the event a success. 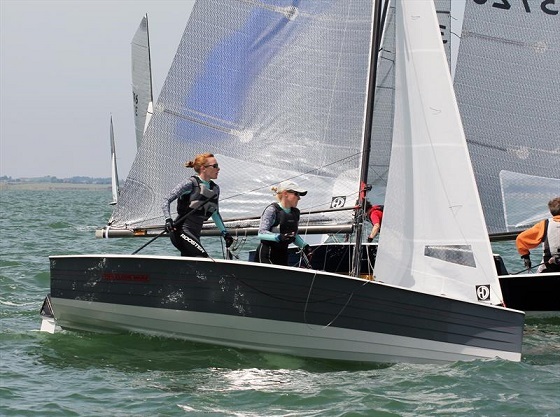 The 505 fleet now move on to the European Cup on Lake Garda next week. Photo by Nick Champion at Champion Marine Photography. TV donations - Thank You! Thank you to everyone who generously donated to the fund to replace the broken TV in the Sea Room. We reached our target, and now have a brand new TV on the wall! Thanks also to Thommo who generously donated his old TV for the use of the club's Training Centre. WOFC have made an application for retrospective planning consent for the Oyster Racks off Whitstable. The club will be making a formal comment regarding this, but any member wishing to add their own views should do so before the deadline of 11 May. See https://publicaccess.canterbury.gov.uk/online-applications/applicationDetails.do?activeTab=makeComment&keyVal=_CANTE_DCAPR_117205 for the details of the application, and how to make a comment. We've had reports of items going missing from the WYC changing rooms. We'd like to remind members to keep their valuables safe, and make sure that the changing room doors are kept closed and secured by the code locks. If you see anything suspicious, please report it. 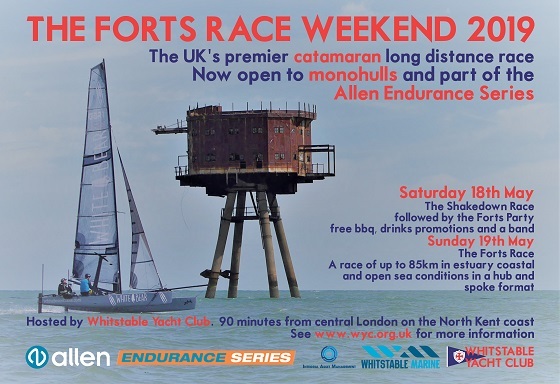 There are lockers available in both the male and female changing rooms, please contact Sally at sailing.secretary@wyc.org.uk if you're interested. 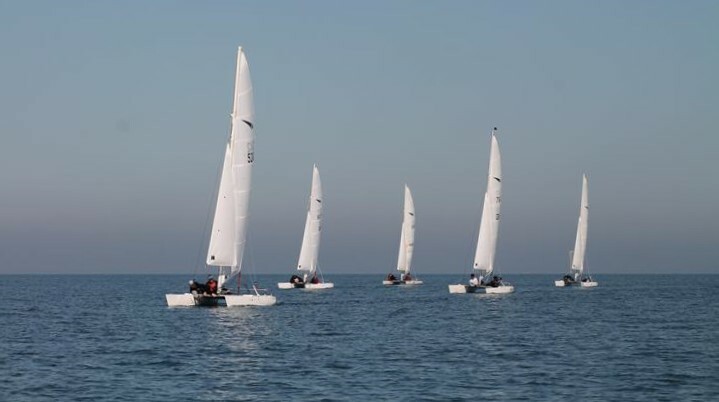 New club Topper and Topaz dinghies for Training, Cadets and for sale! WYC Training and Topper International have teamed up to enhance the club's fleet with three brand new Toppers and five brand new Topper Topaz dingies for the club to use for Training and Cadet activities - a fantastic addition, which will allow our training offerings to grow even further this year, for adults and children alike. At the recent Cadet Fitting Out morning, the club's younger sailors had a great time getting them out the packets and setting them up. Thank you to everyone who helped out. To help finance the deal, the club will act as a 'show room' for the boats, which can be purchased from us at a discounted rate of £2,549 for a Topaz and £2,649 for a Topper 5.3 (smaller sails 4.2 are also available). The deal includes a launching trolley and top cover, giving savings of up to £851 on manufacturer list price. As part of the package you will get training support throughout the season, and a 3-hour training session for FREE! 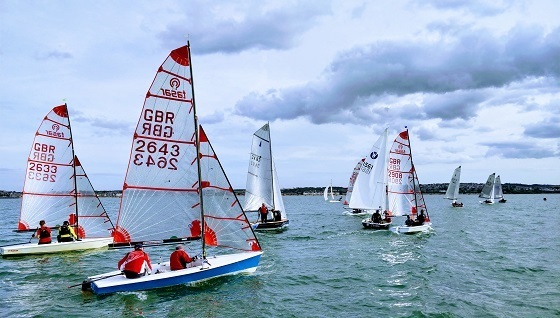 Nicky Whatley was on hand this weekend to capture the action from the sailing on Saturday. Click here to view the album. There are a large number of wetsuits and other gear that was removed from the men's changing rooms during the recent works. This kit will be disposed of at the end of April if not claimed. 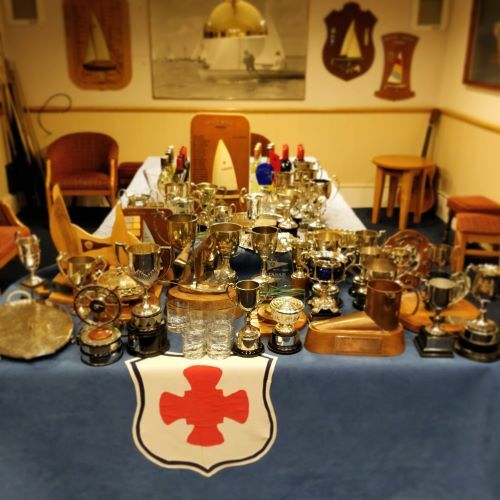 If you think any of it could be yours, please contact the club office. 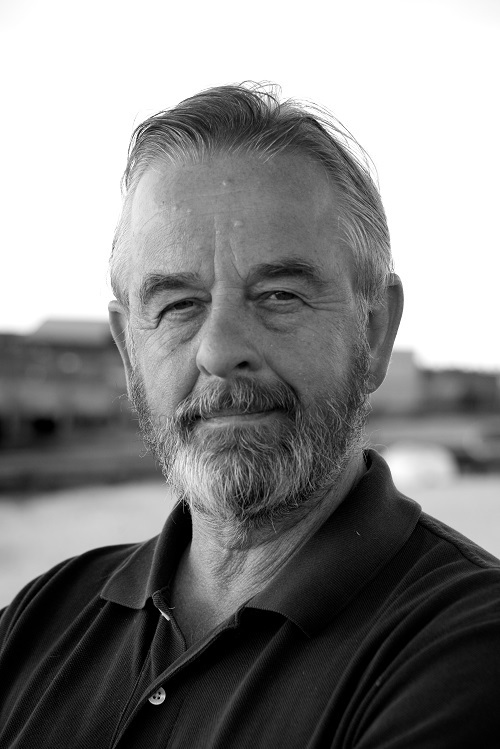 We are sad to announce that Andrew Pierce, longstanding Club member and former Merlin sailor, died this morning in hospital in Margate. Andrew sailed Cadets in the early 60s as both crew and helmsman . He attended Cadet Week at Burnham on several occasions. He then crewed in National 12s and had attended the Burton Week in 1964, 1965, and 1966. He crewed in the Hornet Championships in 1967. I had started sailing with him in 1966 ( including the 1966 Burton Week). We sailed together in the 1969, 1971, 1972 and 1973 Merlin Championships - together we achieved 3 top six results. Andrew retired from top flight crewing in the mid 70s and for some years sailed a Laser 'for fun'. He had worked with Mike Scott at Yachting and Boating - the weekly news magazine for dinghy sailors. 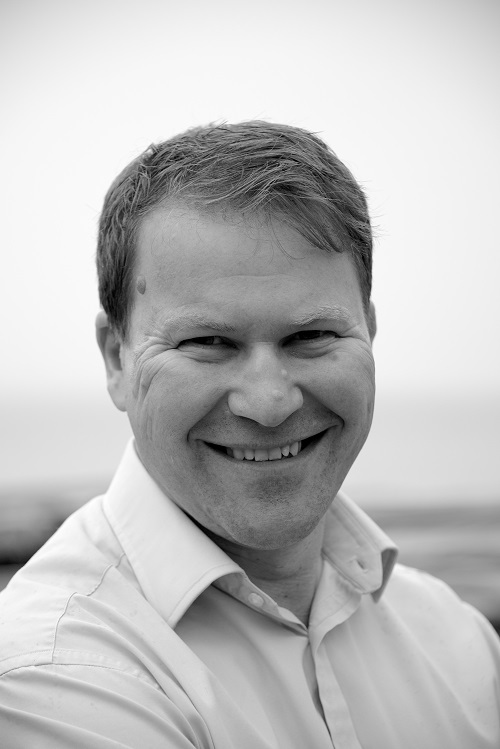 He has lived in Whitstable throughout his life. He always enjoyed talking and listening about dinghy sailing right until the end - he smiled at us on his last day as we recalled 'events' at Cadet Weeks in the early 60s. He is survived by his sister Catherine, to whom we send our deepest sympathy, and will be greatly missed by his friends in WYC and the town. The new WYC Webcam is now live. 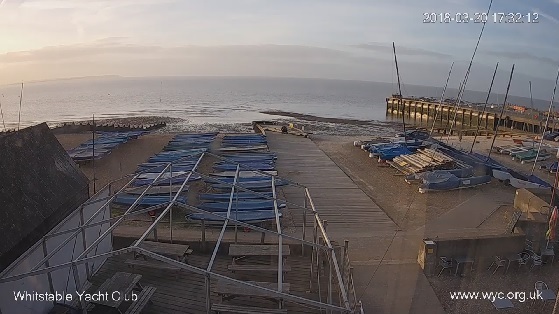 See http://www.wyc.org.uk/site/webcam for a view from the club in HD! Thanks to Chris Leamon for his generous donation towards the cost of the new webcam. Did you know that the club is also on Social Media? Like our page on Facebook, or join our Facebook Members Group! 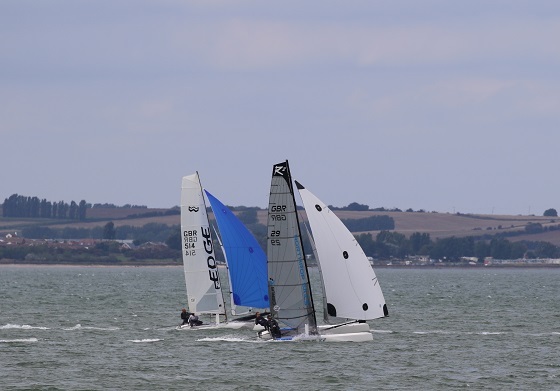 The WYC Dinghy and Catamaran Handicaps used for race results have been updated to the 2018 RYA Portsmouth Yardstick and Small Catamaran Handicap Rating System numbers. This has resulted in the Wanderer dinghy rating putting it outside of the limits of the published General Handicap. The Sailing Committee has decided to keep the Wanderer dinghy in the General Handicap class, and so the definition has been changed to "PY1190 and faster". This changes the class definition on page 11 of the printed 2018 club programme. The current PY numbers can be downloaded here for dinghies and catamarans. Any kit that is not displaying the appropriate identification and payment confirmation may be removed. Trolleys, trailers, covers and any other equipment left on the beach when you go sailing must also be clearly labelled with your sail number and name to aid identification in the event of an incident. Boats may be parked on top of their road trailers as long as the combination does not take up significantly more space than the boat parked without the road trailer. There are limited spaces for road trailers parked independently from boats, and for these the numbered sticker confirming payment for the season and ongoing membership MUST be clearly displayed and the trailer identifiable. The trailer must be parked in the allocated row and where appropriate in the designated position as defined by the parking plan and agreed with the Class Captain. Changes to any allocation should be agreed with the Class Captain and the Beachmaster as appropriate. Trailers that cannot be identified may be removed. 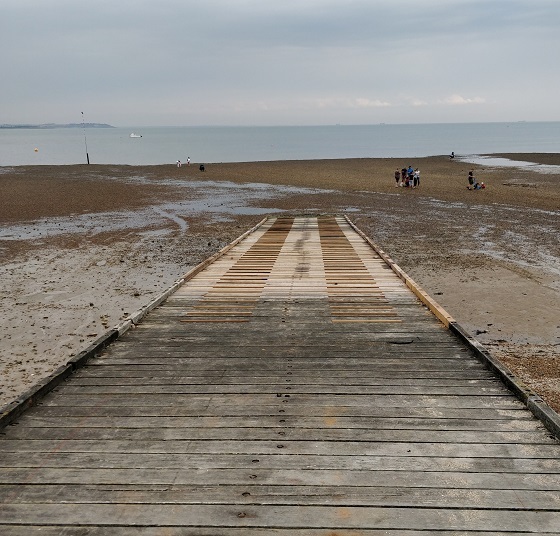 If you have a trailer located on either West Quay or on the beach please ensure it is stored in accordance with the club’s policy and labelled to aid identification. Storage space is always in demand therefore from April 20th 2018 any trailers not correctly stored with boats, not clearly labelled, or where appropriate payment has not been made, will be removed. If you are unsure about storage of your trailer please contact your Class Captain or the Beachmaster. 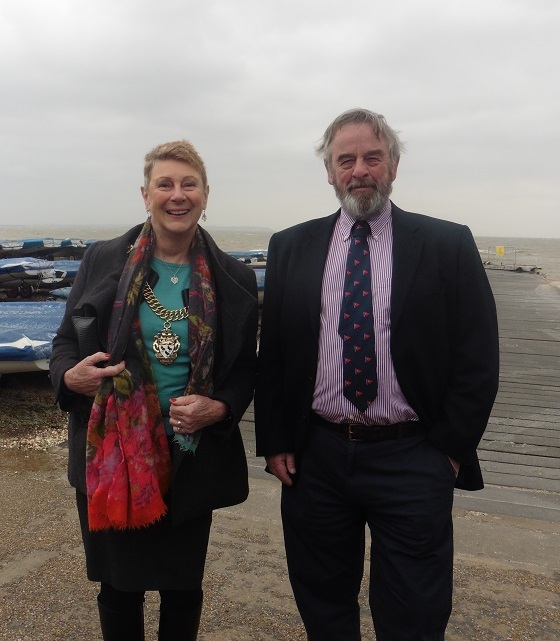 The Lord Mayor of Canterbury, Councillor Rosemary Doyle, visited Whitstable Yacht Club on Saturday March 17 to help celebrate the start of the Club’s new sailing season. Plans for her to join in the start and management of the first race had to be abandoned when this was cancelled due to the potentially unsafe weather conditions – snow, freezing temperatures and winds gusting to gale force. Nevertheless the visit provided an opportunity for the Lord Mayor to visit and be updated on the Club’s facilities and resources and meet many of the members, including the Commodore Richard Bradburn, the Rear-Commodore (Sailing) Robert Govier, and the Training Centre Manager Richard Maltby. The Lord Mayor’s own experience and appreciation of coastal sailing helped the Club ensure this was a very practical visit to important activities within the Club, and especially its very successful and rapidly developing Training Centre, which is recognised by the Royal Yachting Association and has links to complementary organisations such as the Kent Schools Sailing Association. The Lord Mayor’s visit culminated with a very sociable meeting with members in the clubhouse overlooking the beach. A plan was proposed for her to return to participate in managing a race later in the season, with hopefully more positive weather conditions. 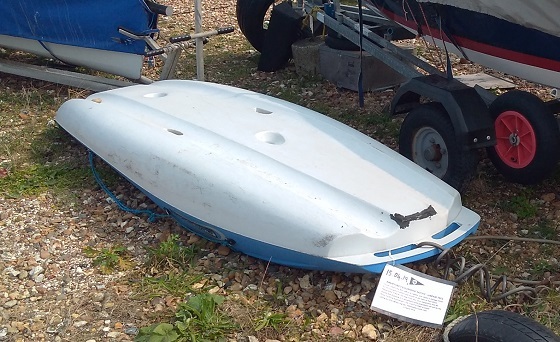 At the Working Party on Saturday all dinghy classes were realigned to their respective rows in accordance with the Beach Plan, a copy of which can be seen on the club notice board. 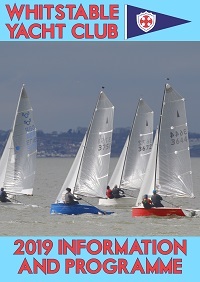 A copy will also be attached to the March Sailing Committee notes which can be accessed via the web site. There have been some minor changes to the row allocations but they are broadly the same as last year. As in previous years the rows nearest the club house have been prioritised to the most regular sailors within each class. The beach plan and allocations will be monitored during the year to ensure we are correctly managing the available space. The same applies to the boat parking on West Quay. 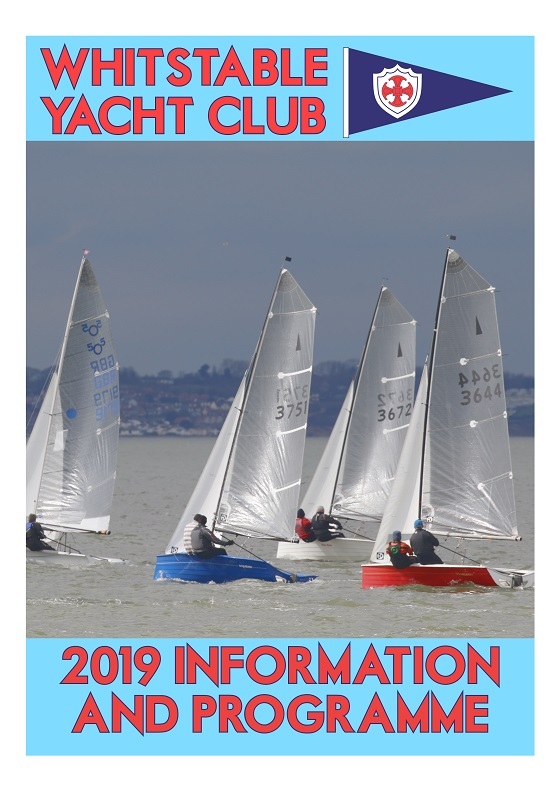 If you have any queries regarding the Beach Plan and/or the allocation of space for your dinghy please contact your Class Captain or the Beachmaster. Thanks to everyone who came to the club on Saturday morning for the working party. We got a lot done, and the club is looking ready for the start of the sailing season next weekend! Also, thanks to Keith at the Coffee Hut for supplying sandwiches and coffee to the volunteers! We have received the sad news that Peter Griffin, beloved husband of Fef, constant helper and supporter and friend to the Cadet fleet and their parents, passed away yesterday. 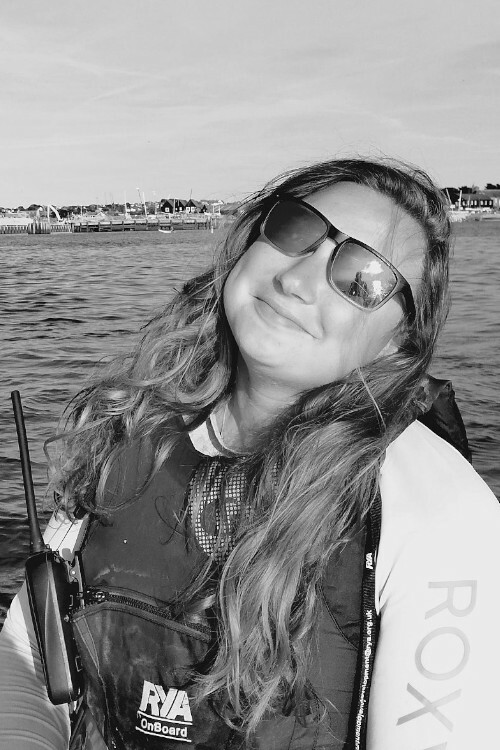 Peter was a constant, benign and immensely supportive presence not only at Cadet evenings, but also on weekend sailing where he drove and crewed safety boats and turned his hand to anything where help was needed. He will be greatly missed by us all. I am writing to inform you that we will shortly be increasing bar prices. We have to do this, reluctantly, in order to cover cost increases in both supplies and bar operations. We are spreading the increases evenly across all categories and brands, so that no one group of Bar users is disadvantaged in comparison to another. 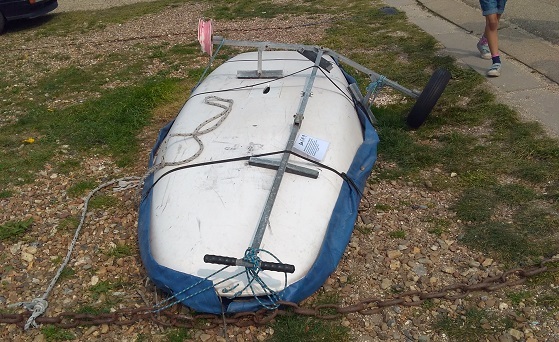 The following list of windsurfing equipment is to be auctioned in accordance with RYA guidelines on the disposal of abandoned equipment. 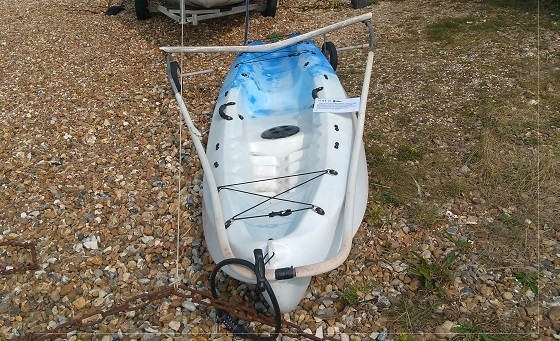 To view the equipment please contact Sally Gostelow and to place a bid email sailing.secretary@wyc.org.uk by close on Friday 23 February 2018 clearly indicating which board and Lot Number you are bidding on. Mike Scott's funeral will take place at Barham Crematorium at midday on Monday 19th February with a wake held at Whitstable Yacht Club. Flowers from family only and in place for anyone who wishes donations to Cancer Research or Alzheimer's Society. 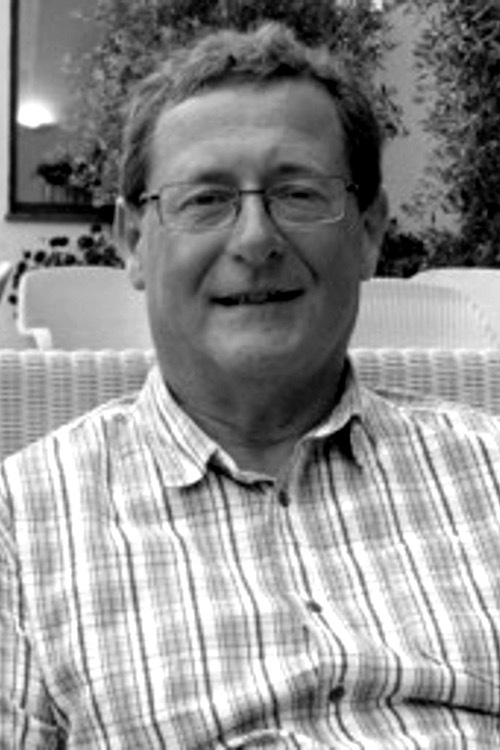 It is with great regret that we pass on the news to members that Mike Scott died on Monday, peacefully. Our deepest condolences go out to his wife Heather, their children and all Mike’s friends. Further details will be posted once dates are known, but the wake will be held at the yacht club. After the very strong winds some boats have been damaged, boat No 433 & 133, please ensure your boat is secure and all masts are taken down. We are looking for more race recorders to join our dedicated team. The season is fast approaching and we would like to recruit more recorders to help support club racing. It’s a great way to get involved with your club and to get to know other members and see club racing and events close up. Please contact Sally Gostelow (sailing.secretary@wyc.org.uk) if you are interested. Free social membership is offered to those who are willing to commit to 10 duties or more. Sailing Sec. Did you know that WYC has an in house RYA recognised training centre to help with you and your family's sail training and development needs? Formal tuition is available for adult and youth sailing, as well as windsurfing, and there's a programme of adult improver sessions from late spring to early autumn. 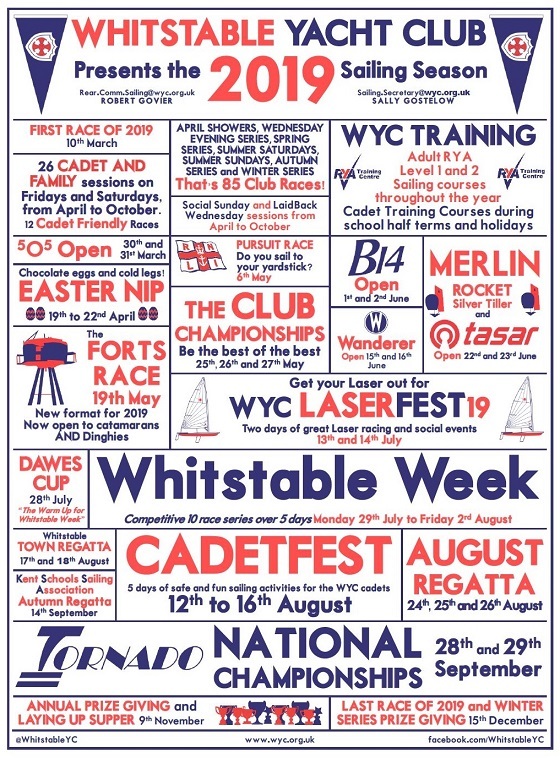 For children there's also a programme of Cadet and Family sessions, Cadet Races, and the annual CadetFest to keep them safe and entertained on the water, whilst helping hem develop their sailing abilities. 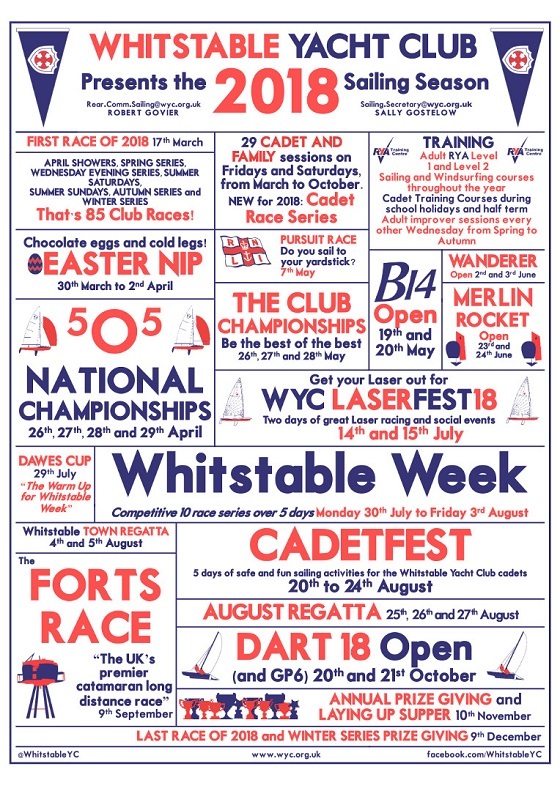 The 2018 schedule of adult and youth sailing courses has now been published, along with more information on the available courses and events at wyc.org.uk/on-the-water/training. More information on the full programme of Cadet and Family sessions will be published in the 2018 Programme due out shortly. Workparty 28th January & clearance of changing room. The new fire proof ceiling is been fitted in February. We need a number of people to help in dismantling the cages around boilers and take down some lockers to prepare the space for the contractors to start in February. Please contact the office if you are able to help on Sunday 28th January. Also all personal items, need to be removed by Monday 22nd January from the changing area, including all hanging up wetsuits. The shower area can still be used and everything in lockers can be left, unless you have been contacted by the office. 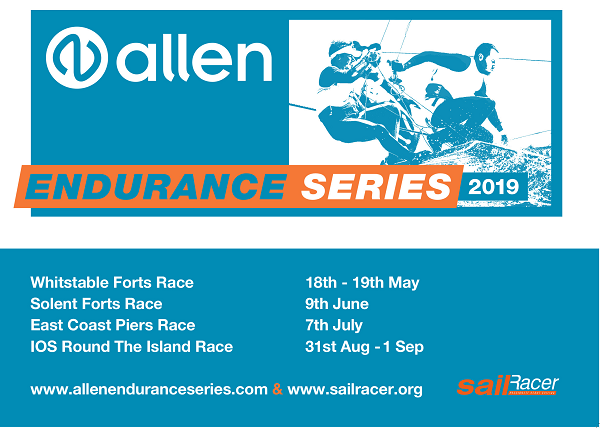 Download a full copy of the draft sailing schedule by clicking Read More. Any comments on the schedule to rear.comm.sailing@wyc.org.uk before 1st Jan. Oyster Coast Water Sports have offered members of WYC a good deal on a First Aid Course. There are three possible dates, 25th Feb, 25th March or 21st April - perfect timing to get your First Aid skills reviewed and up to date before the summer! The price will be £50 per member if more than 8 members join the course, which is a significant discount on what you'd pay if you went elsewhere! If you're interested, please contact Ruth Oliver at ruth.oliver@wyc.org.uk, and let her know your preferred date. There will be instructions posted next to large blue flood gate, next to Rigden Shed, on how the gate should be opened and closed. The gate has been left open with the cable not wound in and is left loose on the floor and the opening wire still connected. The covers also need to be put on the winches to keep the weather/salt off them. Remember if you open it you must close it over the winter. Also ensure the track is swept so the wheels are not obstructed by the stones etc. The notes from this year's Meeting of Sailors can now be downloaded from http://wyc.org.uk/about/Meeting_Minutes. If you have any comments or feedback related to the meeting or the notes, please contact the Rear Commodore Sailing or your Class Captain. Starting Friday 17th November, we'll be serving two new wines: Les Oliviers Merlot and a very nice Australian Malbec called Soldier's block.